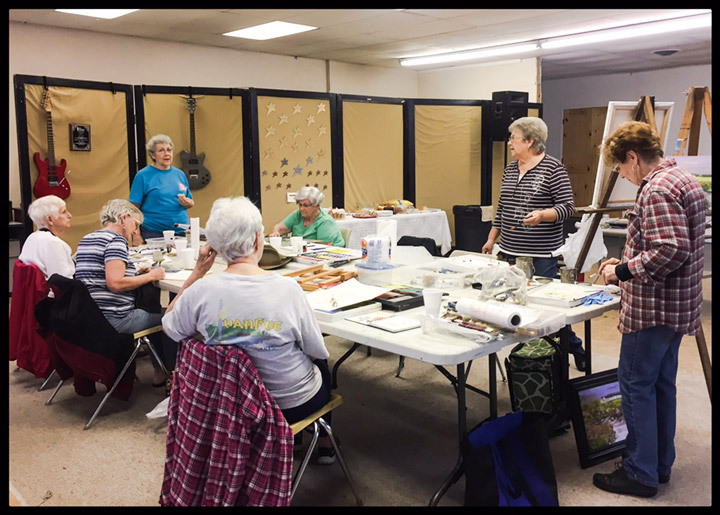 with the CSI Group (Create, Share & Inspire) paints Mondays from 9 am to 1 pm at the Emporium, just down the street from the Gallery, at 216 W. Bluff. Bring whatever project you're working on, and a snack if you like. For more info, call Merilyn McDonald, 409-656-4672.